Are you tough enough to join the Tough Mudder for AMH? Action Mental Health is inviting you to join us in one of the most gruelling fundraising efforts we’ve ever taken part in – the Tough Mudder. Tough Mudder is a team-oriented, mud-bound obstacle course designed to let you put your physical strength and mental grit to the ultimate test – and raise funds for Northern Ireland’s leading mental health charity, Action Mental Health. 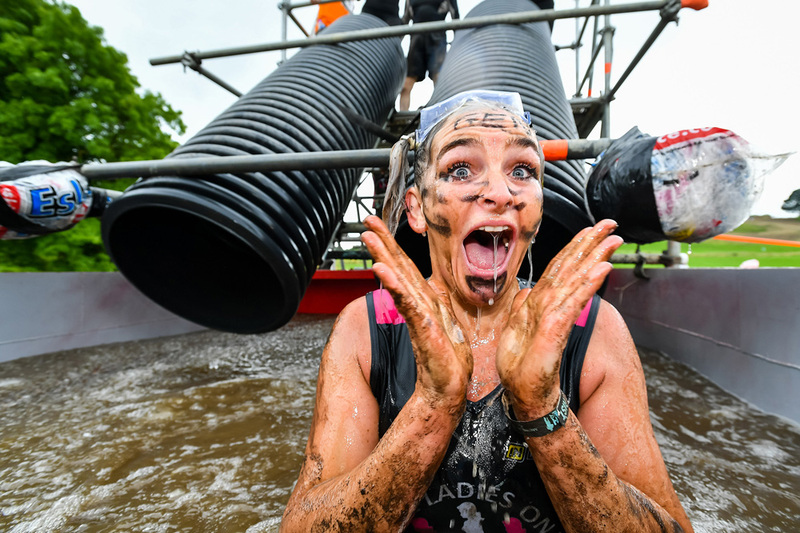 Taking place on July 21 this year amid the rolling hills and forests of Loughcrew Gardens, in Oldcastle, Co Meath, you can run or walk the five miles of the Tough Mudder but which ever way you tackle it you’ll end up muddy from head to toe – which is all part of the fun! It’s filled with obstacles from iced water pools to 15 feet-high wall climbs and muddy ditch tunnels – but if one obstacle looks to much for you, you can skip it and go on to the next. The Tough Mudder is for people aged 14 and over, with under 18s needing accompanied by someone over that age. Register for only £40. Sponsorship encouraged. 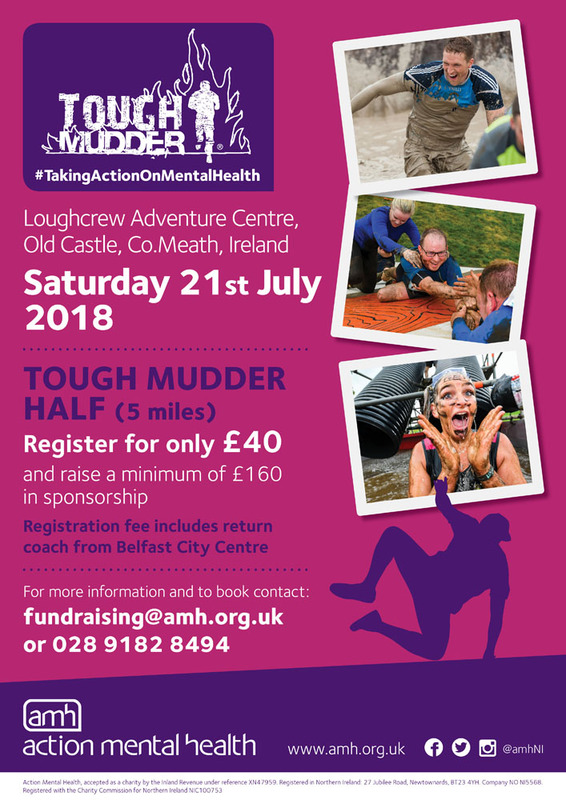 The registration fee includes return coach from Belfast City Centre so, if you think you’re hard enough get in touch with our Fundraising Team to find out more fundraising@amh.org.uk or 028 9182 8494. Or book here!